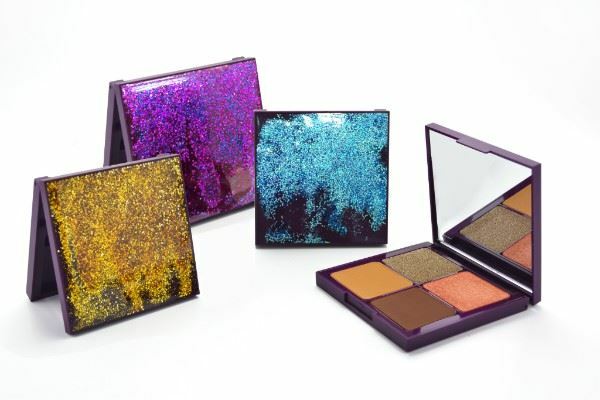 Galaxy of Love Palette Featured with 4-wells design and one large well for bronzer or blush, this palette is also available with a plaque on the top lid ready for any fancy decorations. The new inner developed from an existing palette, GCAPS013, is featured with 20 pans fulfilled with colors for any occasion. Perfect for eyes, lips or maybe matches with any face colors. For the decoration, silver plating with digital printing on the lid is one of the choices to pursue the high definition beauty. GCC PKG releases White Out Blooms to correspondent with trend 2018-2019, which symbols purity and perfection. Eyeshadow Palettes Designed to Dazzle, for Picture-Perfect Looks. To be an Instagram-worthy packaging, not only the makeup product to work well, it also had to look good. The new compact design features an outstanding hinge and clasp closure, it snaps back into place quite easily and securely. These compacts are available in different size diameters 47-, 53- and 74mm for complete sets of makeup products. GCNPS023 in standard size is for eye shadow or face palette that illuminates for instant radiance and a natural glow; smaller size GCNPS021, GCNPS022 & GCNPS021-1 for blush, highlighter or corrector.